NO. Your humidifier is meant for water and water only. The wick filter inside the travel humidifier does it’s job well and will filter out any additives placed inside. Oils may also cause damage to the functionality of the humidifier. Tap the power icon symbol on your humidifier to switch from on to off. CAN I CHANGE THE BASE OF MY HUMIDIFIER? Yes! The travel humidifier can be used with any standard cup, as long is it keeps the humidifier upright, and is not filled above the power indicator light. HOW DO I CHANGE THE PLUG TO USE WITH A USB PORT? 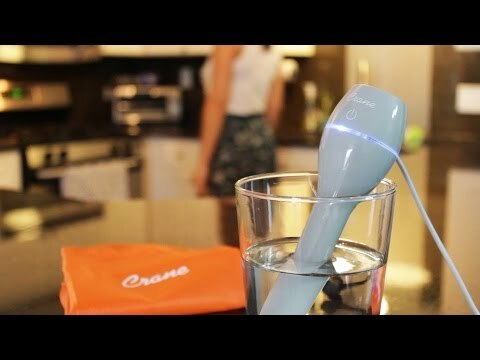 Your travel humidifier comes with an attached cord that has a USB plug attached to it. The power adapter with the 2 prong plug is removable in order to use your humidifier with different power sources. Yes. 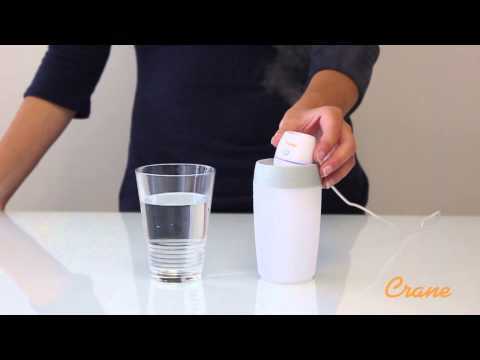 Our travel humidifiers need to have a wick filter in order to work. The filters should be soaked for about 5 minutes before using the humidifier. Replacements can be found under “RELATED ITEMS” or on the accessories page. HOW DO I STORE MY HUMIDIFIER? Clean and dry the humidifier completely before storing. Place all parts & accessories in the travel bag to keep the parts together. Make sure not to store under heavy objects as this may cause damage. The bottom of the humidifier is 100% plastic and can be recycled in a regular plastic recycling stream. The top piece has electrical components and should be dropped off at an E-Waste recycling center. Find an E-Waste site near you.